Dr. Katherine Hall has called Nashville home for the last 35 years. She graduated from the University of Tennessee College of Dentistry in 1991. She then completed a residency in advanced general dentistry. Dr. Hall has been practicing in downtown Nashville since 1992 and opened her practice in the historic St. Cloud Corner building in 1998 where she has served residents and business professionals of the greater Nashville area for 20 years. 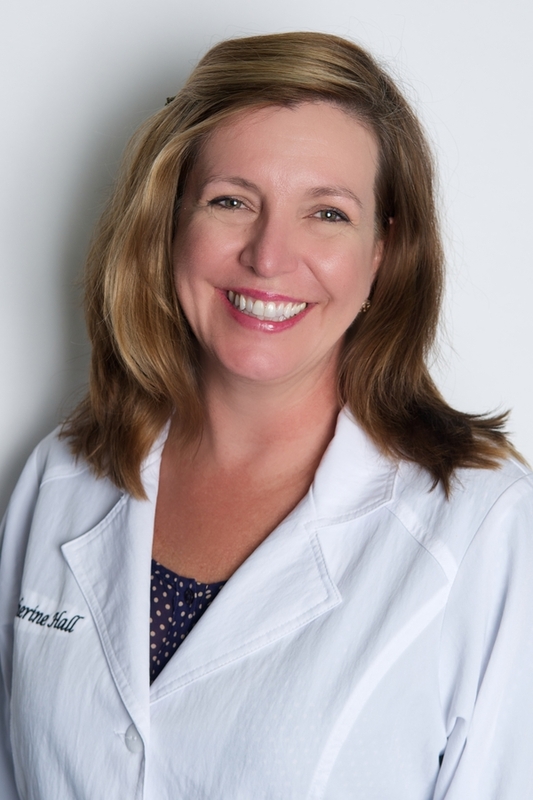 Dr. Hall's experience and expertise can be seen through her many accomplishments, awards, and involvement in the dental community both locally and abroad. In 2013 Dr Hall was appointed by the Governor of Tennessee to the Tennessee Dental Board. She was honored to be reappointed by the governor in 2016. In 2017 she was elected President of the Tennessee Dental Board. In 2017 she was awarded both the Dentist of the Year and Humanitarian of the Year award from the Academy of General Dentistry. In addition to her involvement in various associations, Dr. Hall's desire to give back to the community and dedication to her profession is evident through her service on multiple boards and committees. Board member of the Interfaith Dental Clinic and volunteer for the past 18 years.The clinic serves the working poor and their families in middle Tennessee. Dr. Hall has served as co-chair and committee member for the clinic's fundraising events. Board Examiner for the Southern Regional Testing Agency (STRA), Central Interstate Testing Agency (CITA), and Council on Dental Competency Assessments (CDCA). Dr Hall serves on the board of directors for SRTA. These agencies provides national board testing for dentists. Board member of the Academy of General Dentistry. The Academy is very active in continuing education as well as advocacy. She is the founder and director of the AGD Meharry Dental School Lunch and Learn program. Founding Partner and past Board Member of the Open Arms Care Foundation, Nashville. This organization supports adults with mental and developmental disabilities. Past Member of the Magdalene House Medical team, providing dental care to women with histories of prostitution and drug abuse. Haiti Medical Mission Committee and team member through Cathedral of the Incarnation. She is the co-founder of the dental clinic in La Vallee, Haiti and consultant to the nonprofit "Be Happy Haiti", that raises money and awareness for the dental clinic in LaVallee, Haiti. Dr. Hall has two daughters, Emma and Isobel. They all three love traveling together to national parks across the country. Dr. Hall is a music lover and frequents music festivals whenever she has the chance. She also enjoys knitting and hiking...but not at the same time! She loves giving her patients a reason to smile!